We’d love your help. Let us know what’s wrong with this preview of Looking West by Albert Nasib Badre. 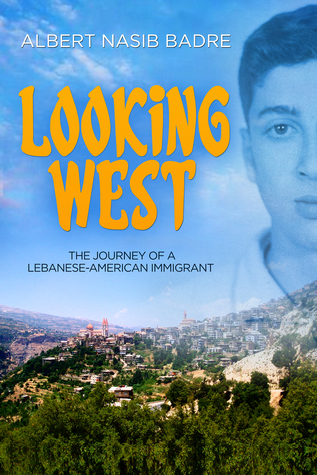 In 1960, the Badre family emigrates from Beirut, Lebanon to the United States, a dream come true for fourteen-year-old Nasib. Nasib struggles to assimilate as a teen in Albany, New York. With limited English skills, he attempts to learn new customs, make friends, and adapt to a different culture. In Beirut, the Badre family was well-known and socially privileged. In Americ In 1960, the Badre family emigrates from Beirut, Lebanon to the United States, a dream come true for fourteen-year-old Nasib. Despite the many frustrations and difficulties, Al’s ultimate goal is to become a successful American. The new anonymity actually inspires the young man. Excited by the opportunities available to him in his new country, he determines to make a potent contribution to society. As he strives to adapt, Al reads voraciously, becoming increasingly interested in religion and philosophy. Books become his “American friends,” and reading soon prompts him to ask deep theological questions about his family’s Lebanese Protestant roots, his mother’s conversion to Catholicism, and the contrast between the Protestant and Catholic faiths. This ultimately leads to his Catholic conversion. Al’s search for meaning in life leads him to social activism among New York City’s poorest. And, in time, to graduate studies, where his desire is to improve the human condition through information technology. To ask other readers questions about Looking West, please sign up. Not only did these opening paragraphs seem believable to me, but I could picture myself as a sibling at the table or as the mother, preparing her children for an exciting yet unimaginable change. I immediately related to the family and characters in Looking West and couldn’t help but feel as if I were on the journey with them. Imagine being a 14 year old boy leaving your country and yet instead of fear or anger, feeling excitement and being drawn to explore with your brothers. As Badre tells this story, he could easily remember the enthusiasm he felt as a teen – this spoke volumes to me about his resilience and overall positive attitude. There wasn’t any point in Looking West where I felt disconnected from the story or family. Badre’s storytelling and overall tone kept me wanting more. I felt connected to the family and vested in a sort of relationship with them. This was an insightful memoir; it drew me in and helped me understand what it was like to be a teen in the 60’s and an American Immigrant. This is a story everyone should read right now as it is sure to spark empathy during this time of political and economic unrest in the world around us.